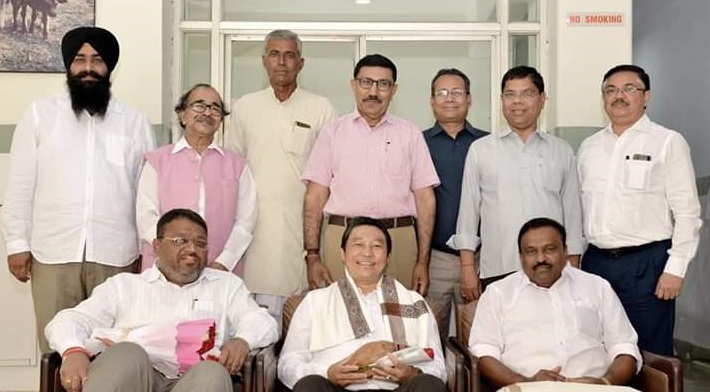 Sikkim Cooperative Milk Producers’ Union Limited (SCMPUL) vice-chairman, Mangal Jit Rai has been re-elected as the chairman of National Cooperative Dairy Federation of India (NCDFI) during the recently held election at its head quarter of Anand in Gujarat. He is the first Sikkimese to hold this coveted post of the NCDFI chairman for two consecutive terms. A SCMPUL press release issued by its managing director, Dr A B Karki stated that the appointment to such coveted post has brought laurels to the State as well. The release added that he was elected as the chairman for the first time during 2016 in the bye-election of 2016 and during his short period as the chairman of NCDFI, Rai had increased the business turnover of the federation from 36 percent to 62 per cent. After his appointment to the post of chairman NCFDI, he has assured to look after the problems of the milk producers’ and assured to work in the interest of the farmer producers of the State and entire country as well, the release informed. The Oorganization has around 163 lakhs farmer members, 1.66 lakhs milk cooperative society and 26 state milk federations under its command.